Evolution is just six weeks away and still, only two matches have been officially announced, which means that there are still a number of WWE legends that the company needs to contact ahead of the show. Trish Stratus, Lita and Beth Phoenix have already been announced for the show, with Trish and Lita's matches already officially unveiled for the show, but there are a number of other female legends who deserve a chance to be part of the show. 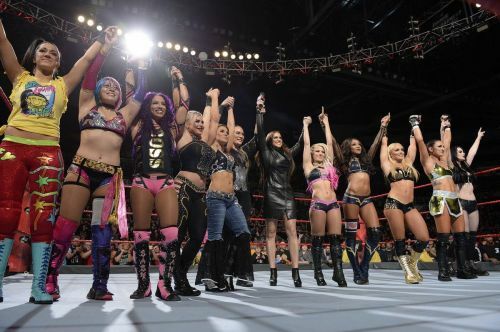 Molly Holly, Jacqueline, and Michelle McCool were all part of the Women's Royal Rumble back in January but there were a number of other women who weren't part of the show. The likes of Melina, Ivory and Alundra Blayze were all forgotten when it came to making history at the start of the year, but all of this could change at Evolution. Alundra Blayze retired from WWE more than 18 years ago but was only inducted into the WWE Hall of Fame back in 2015. The former Women's Champion has since been a consistent presence on the WWE Network but hasn't been contacted ahead of Evolution. Ahead of the history-making show, fans asked the WWE Hall of Famer if she would be part of proceedings, to which she responded that she only had to be asked, which means that WWE is yet to contact her. Evolution takes place on October 28th and it is thought that the build-up will definitely reach boiling point following this weekend's Hell in a Cell event. Hopefully, Alundra Blayze will be one of the women who are in the ring in New York at the end of next month.